A classic and elegant finishing touch to a look, this stylish pair of stud earrings is crafted in 9ct gold and set with shimmering cultured freshwater pearls. 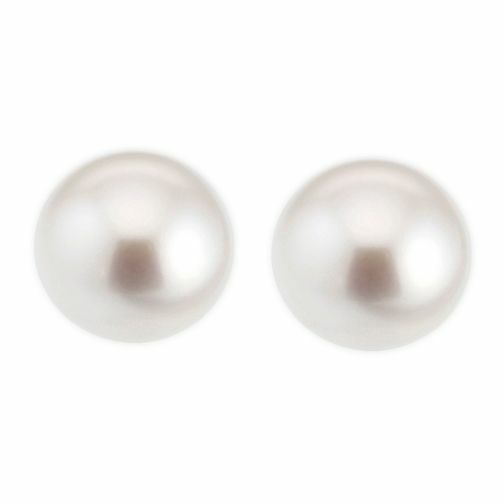 9ct Gold Cultured Freshwater Pearl 9.5mm Stud Earrings is rated 5.0 out of 5 by 4. Rated 5 out of 5 by Anonymous from Perfect gift for mum Mum was very happy with these earrings for her Birthday ?? Rated 5 out of 5 by Anonymous from Excellent value lovely earrings I bought these earrings for a friend for Christmas I was very pleased with them and my friend loves them they were excellent value for money. I was worried about buying them online but they came sealed with film and as long as that was not opened they could have been exchanged but that was not needed as they were perfect.